Home to 2000 giant Aldabra tortoises that have free roam of the island, Fregate is not only a beautiful island escape but a wildlife haven, playing sanctuary to the indigenous forest and hundreds of endangered hawksbill turtles. Accommodation on Fregate consists of 16 beautifully hand-crafted villas, each with a private pool overlooking the beautiful Indian Ocean, with the entire island even available for exclusive hire for ultimate privacy. 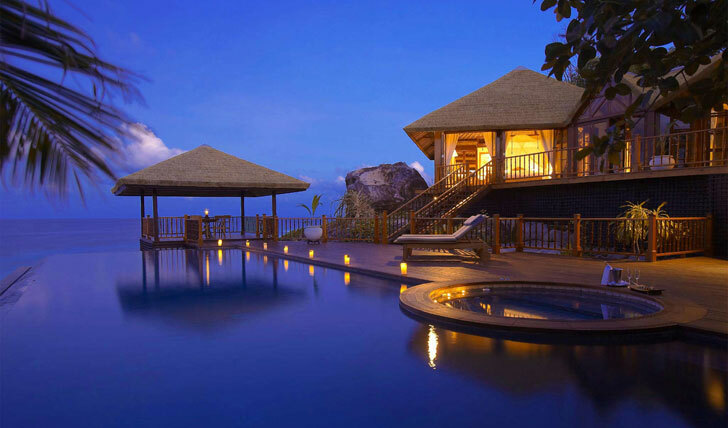 Fregate island boasts seven pristine beaches and is surrounded by crystal clear waters, perfect for snorkelling and scuba diving – the island even has it’s own PADI dive centre and yacht club. Precisely four degrees south of the equator, Fregate is one of the 115 unspoiled islands that make up the Seychelles archipelago. A trip to this slice of paradise takes approximately an hour and a half by boat or just 15 minutes via helicopter from Mahé island. The 16 pool villas can each accommodate up to four adults and two children and are beautifully furnished with African inspired interiors – think dark polished woods, stone floors and bright citrus fabrics. The villas are tucked away from each other offering complete privacy from other guests, with huge balconies boasting sumptuous day beds, jacuzzis, infinity pools and breath-taking jungle views of the surrounding jungle and ocean, with several villas even having direct beach access. This beautiful island retreat has several incredible dining options available, specialising in delicious Creole and international cuisine. 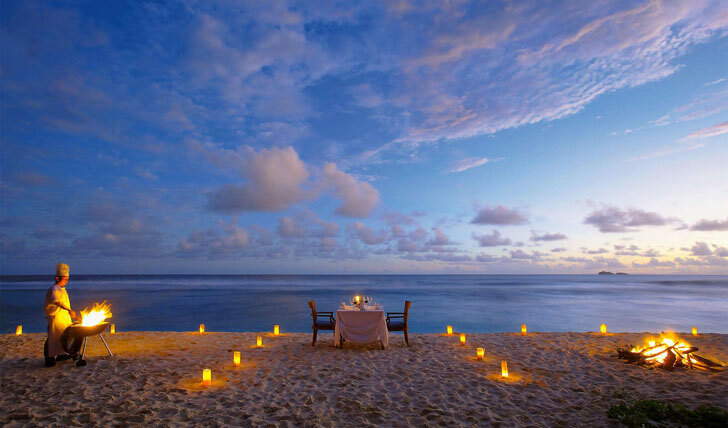 Choose to dine at one of the island’s restaurants, a private candlelit dinner on the beach or in our favourite, the tree house, hidden high up in one of the island’s oldest Banyan trees where you can listen to the wildlife call.